When you first look at the cards, they appear to be boring flashcards with animals, letters or numbers on them…but if you download the accompanying free apps from the iTunes store and hover your devices camera over the 3D marker that is on each card, all kinds of crazy stuff starts to take place. The first set of cards that I encountered was the Alphabet deck–I can’t honestly sat that I loved it. Though the dancing pictures are cool, I found the narration a bit confusing. I don’t think that I would use this deck with a child who was just learning to read. However, the next two decks were much more successful. Numbers was full of cute narrations and rhymes, and it was a nice educational boost to see the actual number along with a series of countable objects. The animals deck was my favorite of all. Though a couple of the animal illustrations were kind of wonky, I had a lot of fun going through the deck and playing with each animal. It was pretty awesome to watch the animals prowl around as well as to be able to tilt the card to see each animal from a variety of angles. If I needed space on my iPhone and had to only keep one of the apps, the Wild Animal Adventures app would definitely be a keeper. 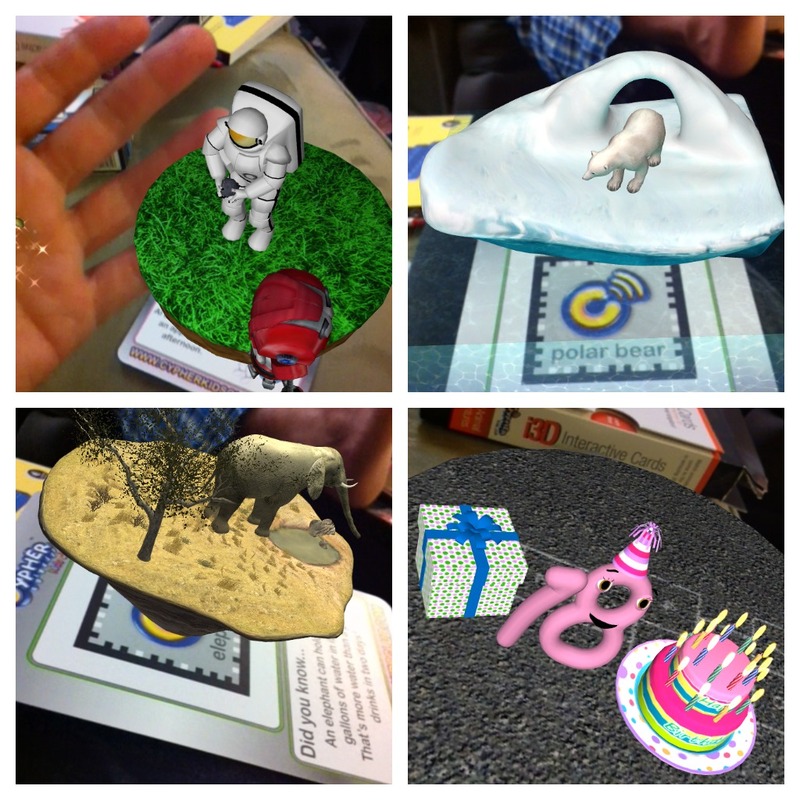 To see more pictures of my 3D adventure, check out my Google+ Album . To find out more about Cypher Kids Club and their 3D Interactive Cards check out their Facebook page and/or follow them on twitter. If you’re ready to run right out and buy them now, they are available at select Target stores. This entry was posted in Collective Bias, Education, Products, Toys and tagged #cbias, #socialfabric, Augmented Reality, Cypher Entertainment, Cypher Kids, Learning Cards, Target by jessica. Bookmark the permalink. I love all these screen shots, thanks for sharing!